Hello everyone! I hope that you've all had a lovely weekend. This week's theme for the buffet is a little predictable with Hearts, but I would've felt weird choosing something totally unrelated to Valentine's Day (conformity, meh!). Still, looking at all the designs so far, we all have very different interpretations of the theme and we're all fab, so there! I started with a base of LA Colors Black Velvet and waited for it to dry. 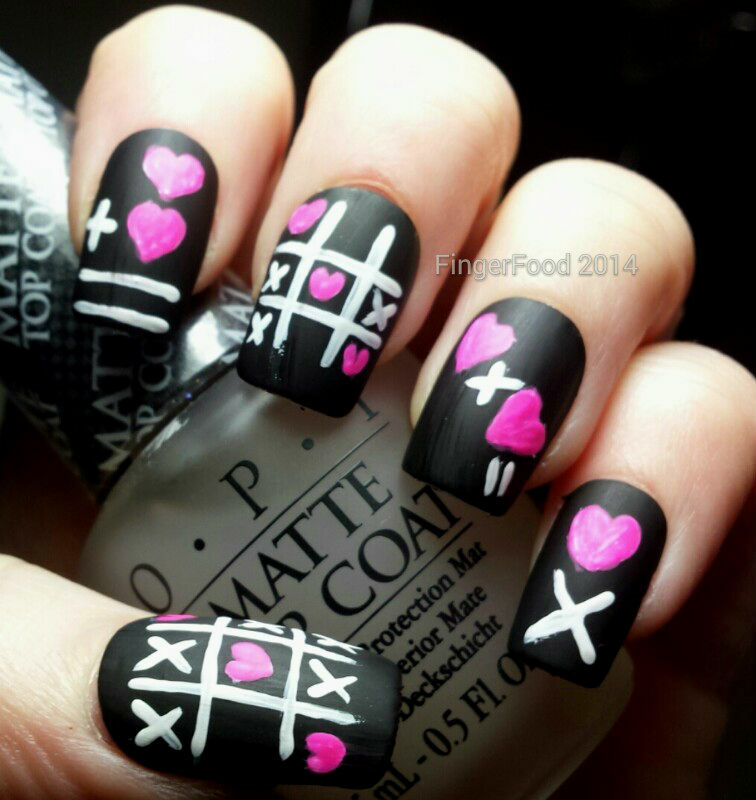 I used a fine liner brush to add the white lines, hearts and symbols with LA Colors French White and then went over the hearts with Sally Hansen Xtreme Wear Jolie En Rose. 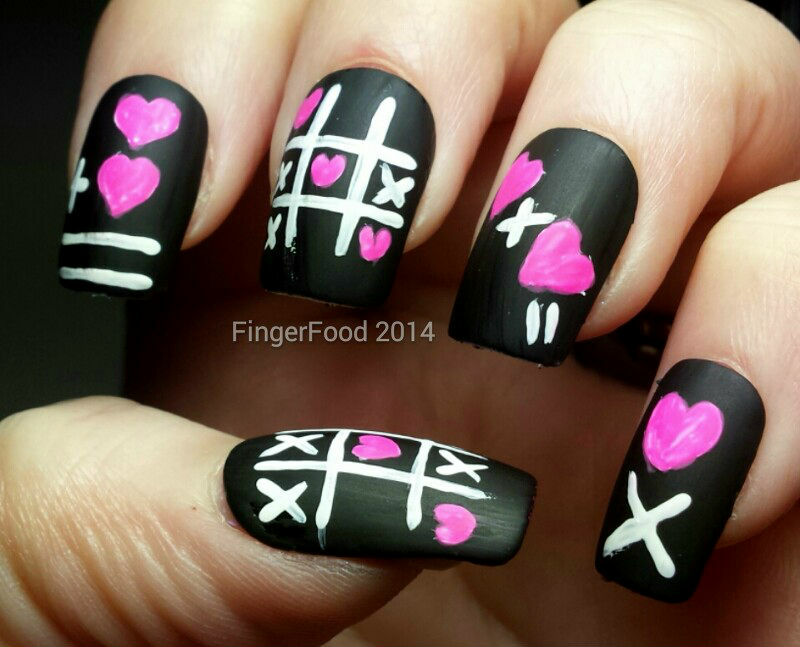 To give it a final twist and a blackboard feel (lessons in love anyone? Not from me lol! ), I finished with OPI matte top coat. These are adorable! 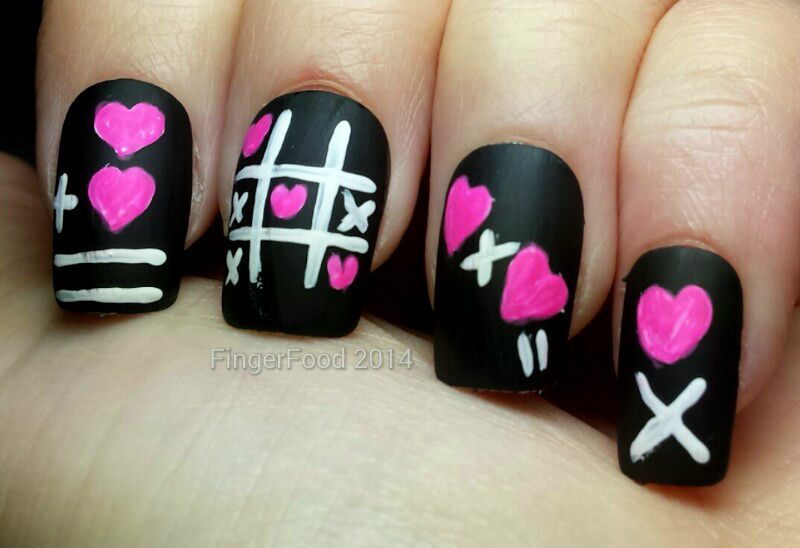 I love the tic-tac-toe nails, great job!! Sam these came out AMAZING! I'm putting them on the super-duper-cute side! Yay! They are pretty cute, if a little obsessive lol! That looks so cool :) Great job! Thanks for these Sam, they made me smile. Cute! 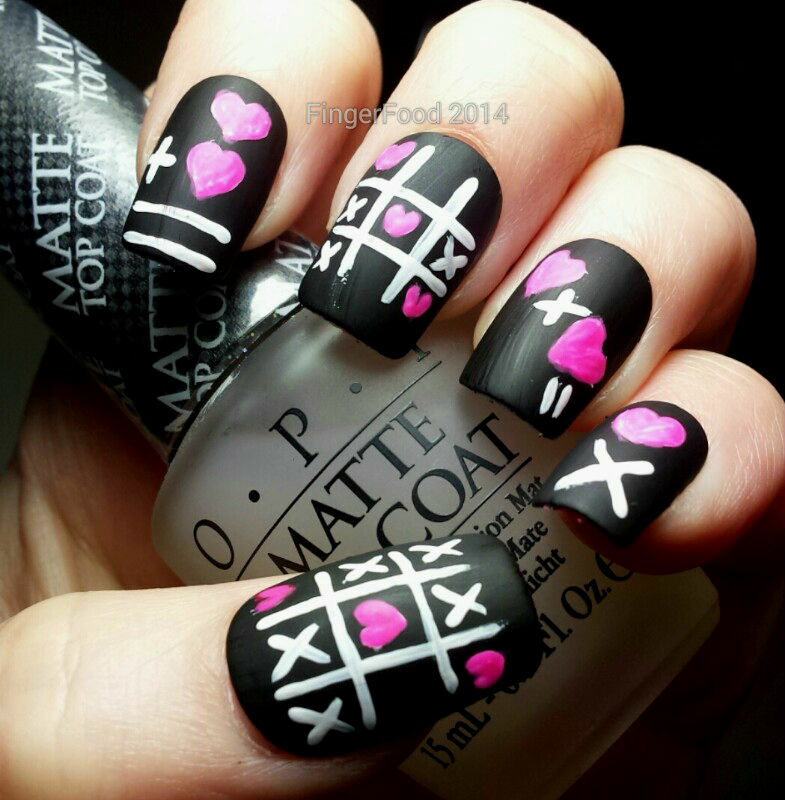 wow this manicure looks just stunning!